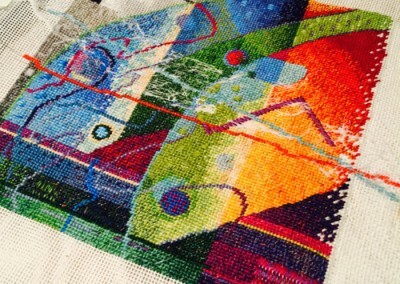 Your work is amazing Connie! 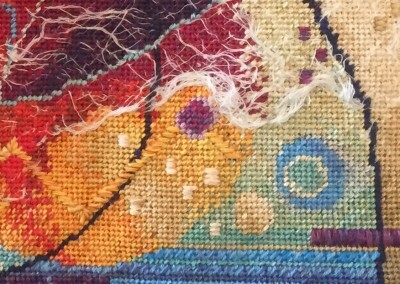 I visited your gallery and got a real appreciation for what a true fiber artist you are! 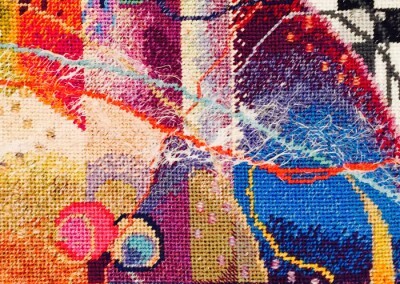 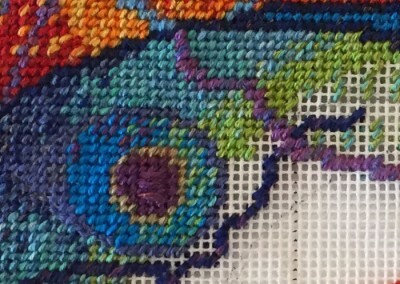 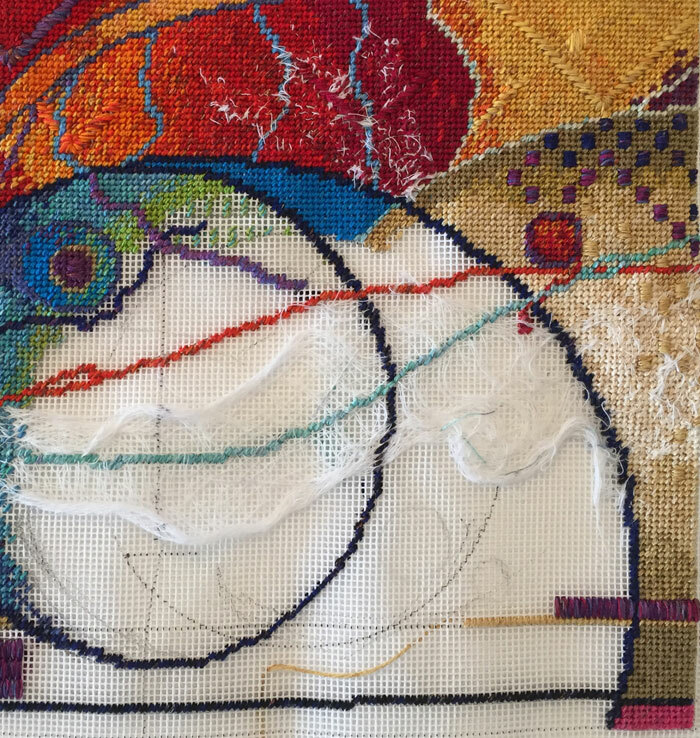 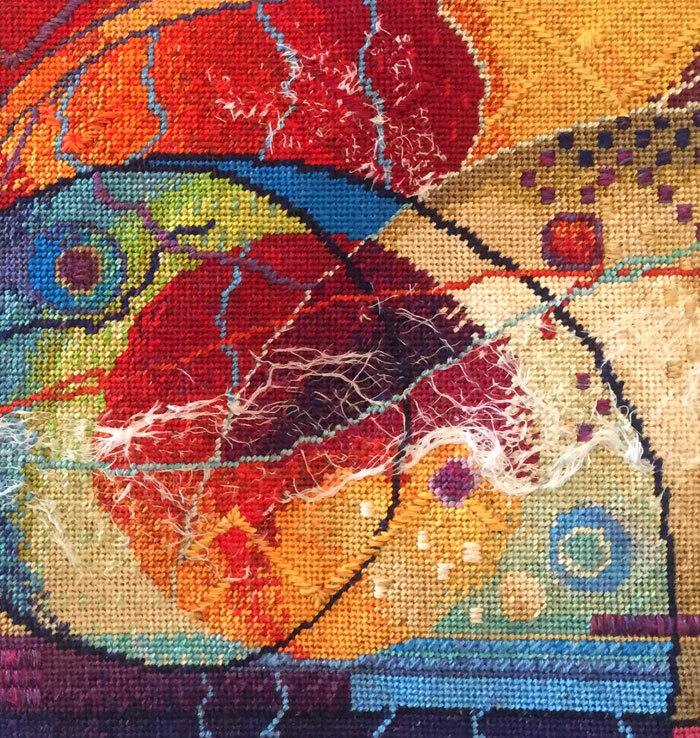 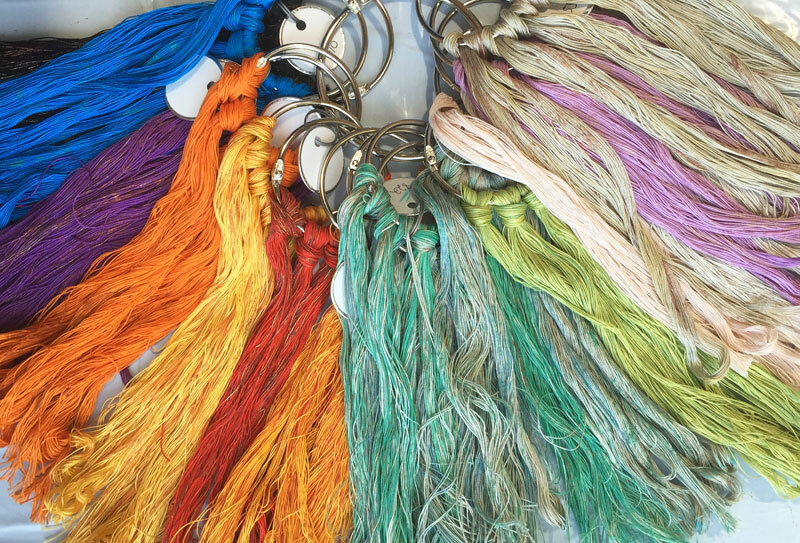 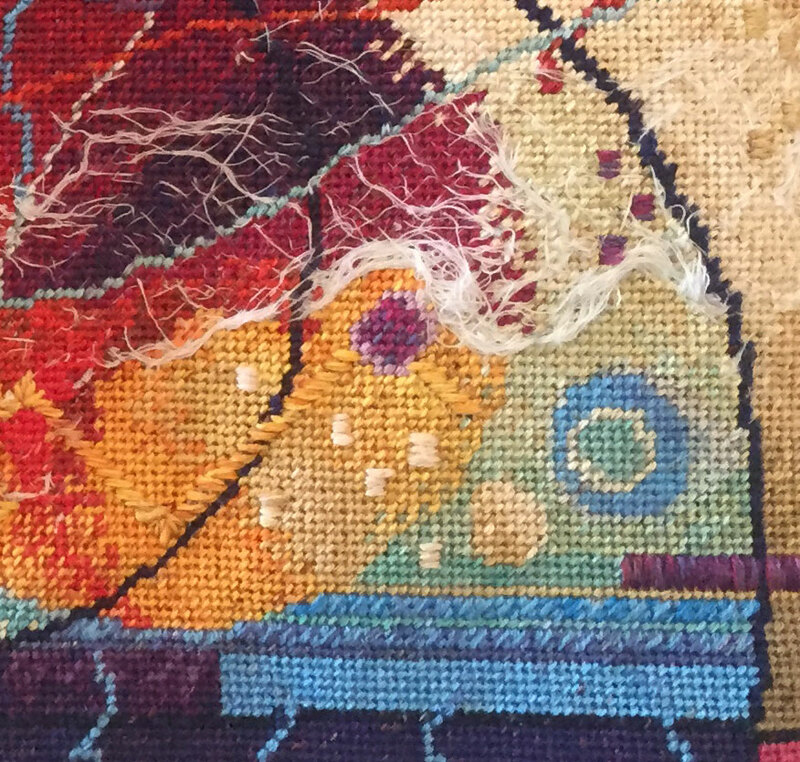 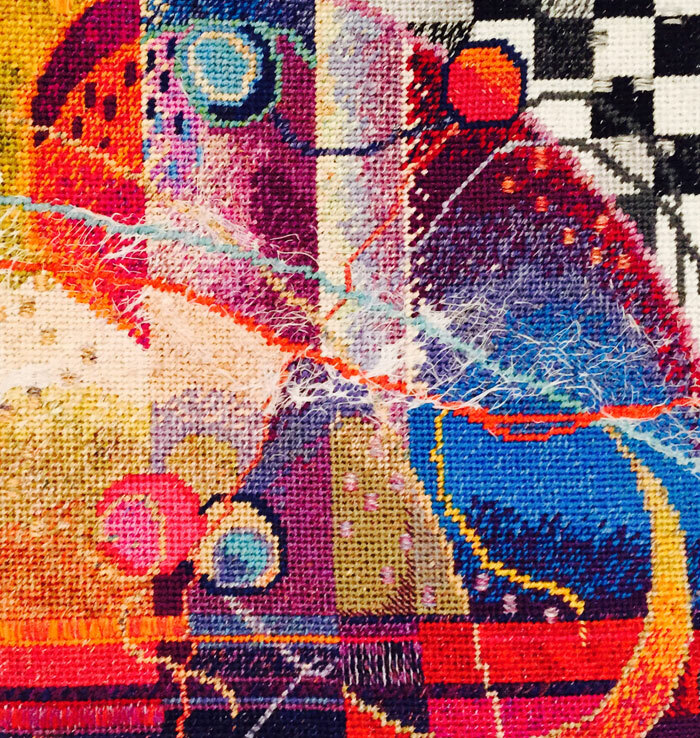 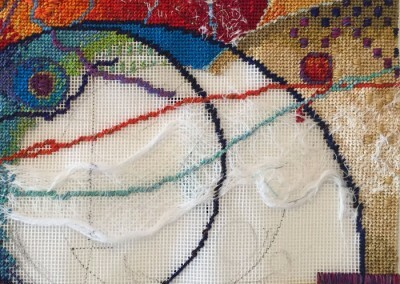 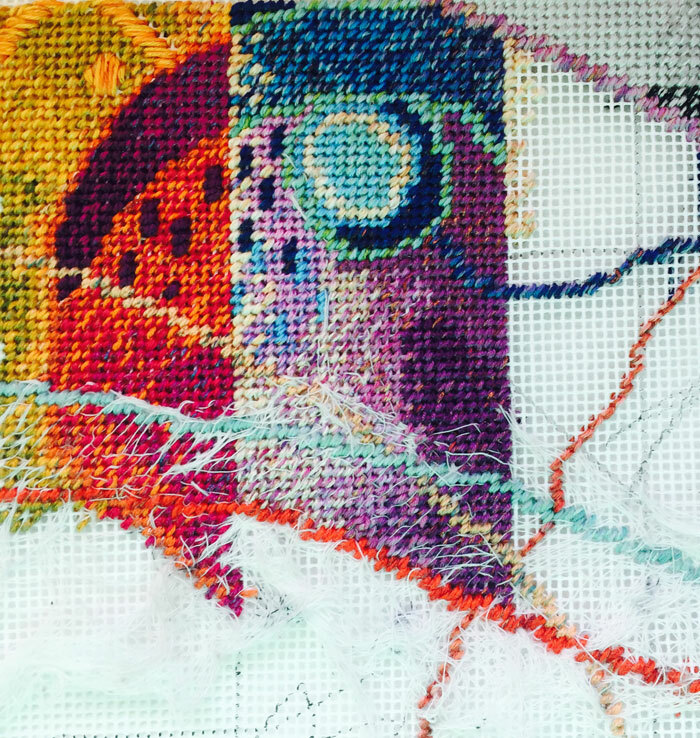 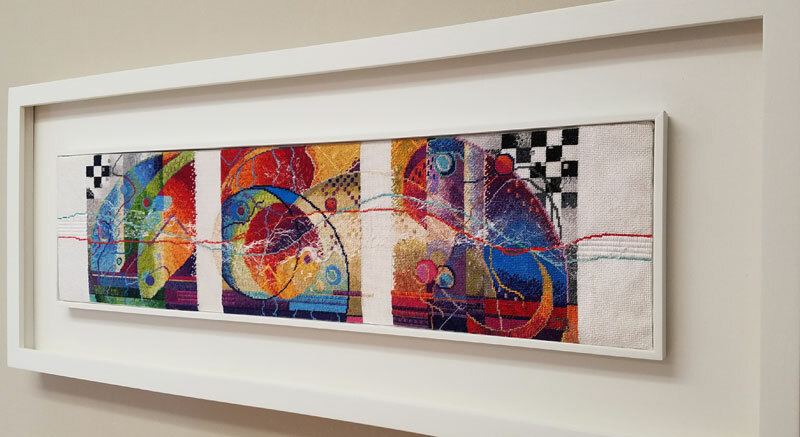 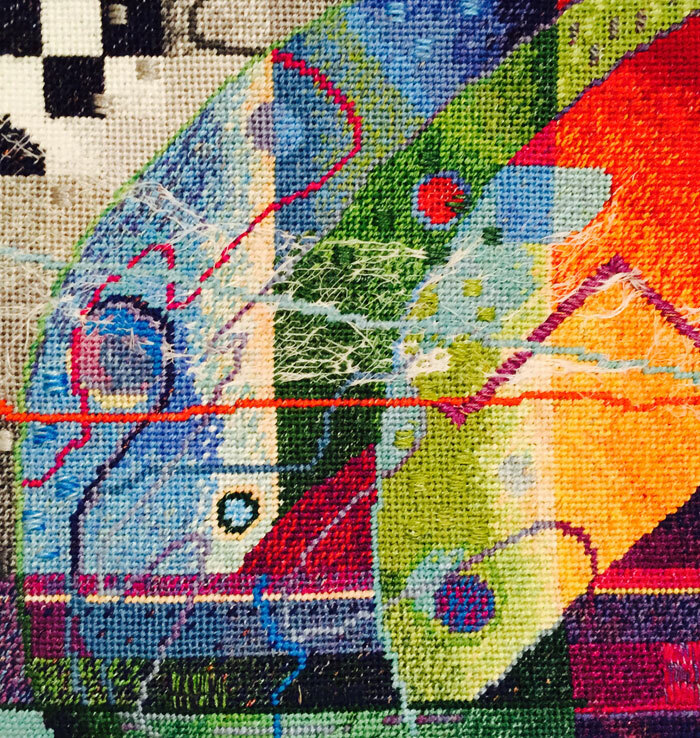 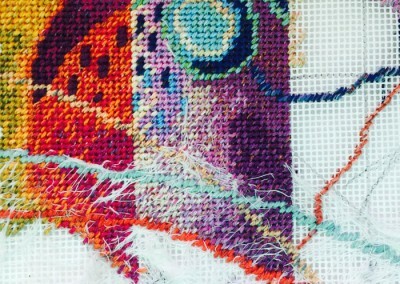 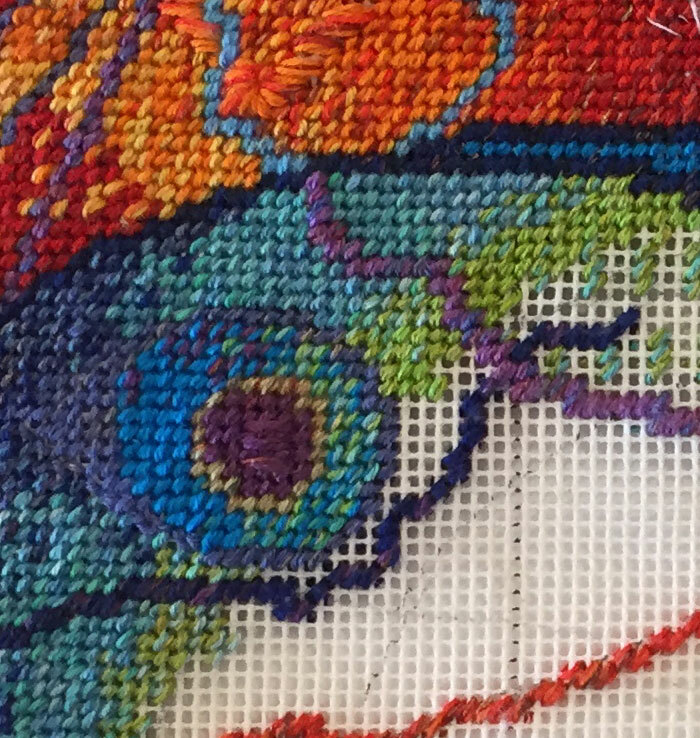 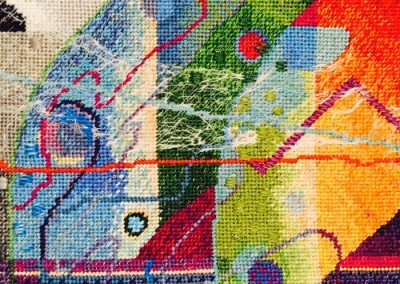 I’m so delighted that needlepoint has become recognized as a legitimate medium for fiber art. 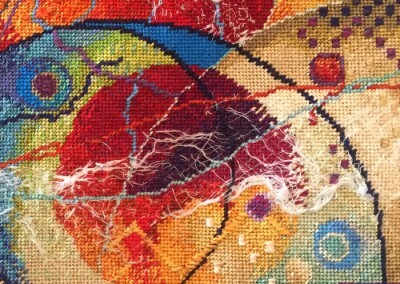 You and Jill Vendituoli and a few others have achieved so much and make me very proud. 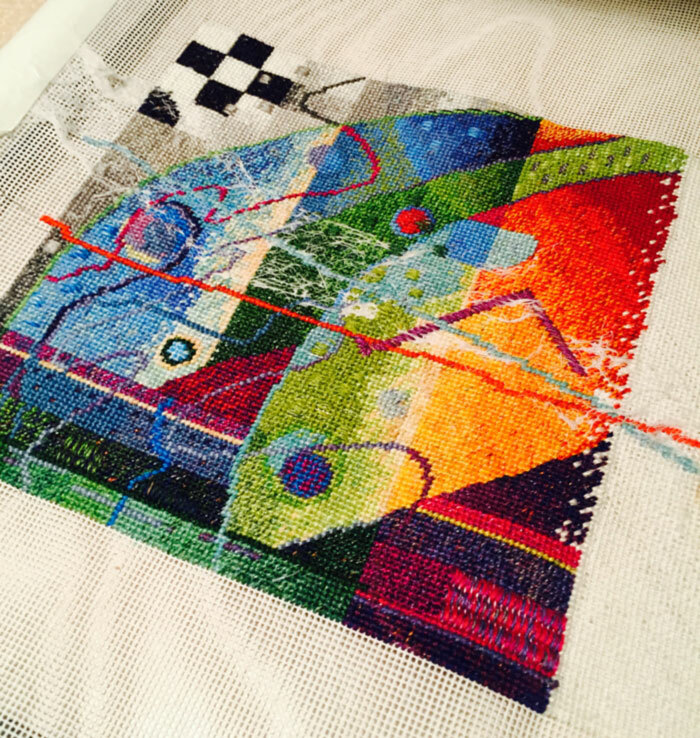 This is the latest of my major projects and is a tribute to my late husband who died of Alzheimer’s Disease in 2015. 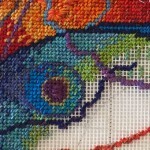 Please click on one of the individual photos below to open the photo gallery.